We truly have enjoyed our week off. We so enjoyed having my husband's parents here. We went to the zoo, and my husband and I had a little getaway in the middle of our vacation to celebrate our anniversary. But now it's time to get back to the regular day-to-day craziness of work and school (preschool). I'm going to take it a bit easier than normal because it is always tough for the little ones to get back into the regular routine. I'm anticipating at least one temper tantrum during meal time, so we're going for something every evening that I know they will all enjoy. 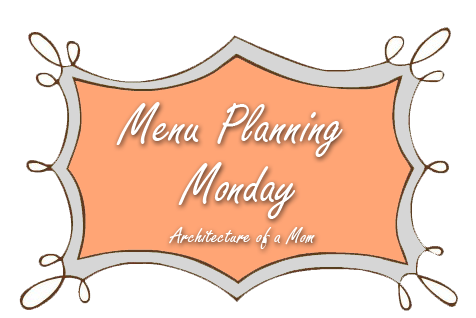 What recipes do you cook when you anticipate a difficult mealtime with the kiddos? I'd love some suggestions!